Mozambique has approved a three-year plan for 2018 – 2021 to kick start implementation of the long-term NDC Roadmap 2020-2025 to deliver its commitments to the Paris Agreement by fast-tracking climate action. The government’s plan aligns short- and medium-term needs for climate change adaptation and mitigation measures with resources and support from eighteen NDC Partnership members through their existing and planned projects. 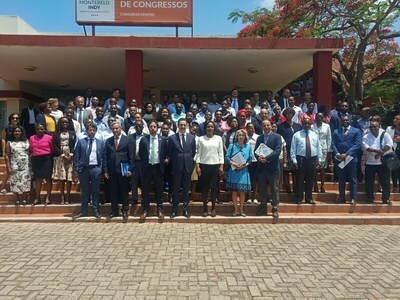 MAPUTO, Mozambique, Nov. 16, 2018 /PRNewswire/ — The Government has elaborated a long-term implementation plan – the 2020-2025NDC Roadmap that informed the short-term, results-based Needs Plan 2018-2021 to address needs prioritized by the government. This was a result of a thorough and extensive participatory process coordinated by the Ministry of Land, Environment, and Rural Development (MITADER) and the Ministry of Economy and Finance (MEF) and involved 21 government institutions and 18 NDC Partnership members in the sectors of Agriculture, Civil Aviation, Energy, Early Warning Systems, Forestry, Health, Transport, Urban Mobility, Waste, and Water. Engaged on climate action even before the Paris Agreement, Mozambique has based its current NDC implementation plans on the previous National Climate Change Adaptation and Mitigation Strategy (2013- 2030). The National Climate Change Strategy aims “to increase resilience in communities and the national economy including the reduction of climate risks, and promotion of low-carbon development and the green economy through the integration of adaptation and mitigation in sectoral and local planning”. In its NDC, the government highlights an ambitious mitigation commitment to reduce about 76,5 MtCO2eq from 2020 to 2030, conditional on the provision of financial, technological and capacity building from the international community. The newly developed 2020-2025 NDC Roadmap is a detailed implementation plan and monitoring framework that guides the operation of low-carbon and resilient development, unpacking the NDCs sector-specific priorities. The Road Map was elaborated through a whole-of-society approach conducted at local and national levels and is currently being finalized for the approval of the Council of Ministers. “In response to a specific request from the government, Mozambique is the first country where FAO is supporting the NDC consultation process, with particular emphasis in the Agricultural Sector,” confirmed Mr. Olman Serrano, FAO Representative. He also added that “FAO’s support also ensured the engagement of a National Coordinator in the country to support the development and implementation of the NDC Needs Plan. This is a clear sign of recognition by Development Partners and the Government of Mozambique of the importance of the agrarian sector in responding to the challenges posed by climate change,” he concluded. The partners supporting Mozambique’s NDC Needs Plan include the African Development Bank (AfDB), the Belgian Embassy, the Delegation of the European Commission (EC), the Federal Republic of Germany (through GIZ and KfW), the French Development Agency (AFD), the Global Green Growth Institute (GGGI), ICLEI-Local Governments for Sustainability, the International Labour Organization (ILO), the Spanish Cooperation, the Swedish Embassy and Sida, the United Nations Capital Development Fund (UNCDF), the United Nations Development Programme (UNDP), the United Nations Environment Program (UN Environment), the United Nations Food and Agricultural Organization (FAO), United States Agency for International Development (USAID), the World Wildlife Fund for Nature (WWF), the World Bank, and World Resources Institute (WRI). The Vice-Minister stated that the “Government appreciates the commitment of 18 partners and members of the NDC partnership to support the needs presented. We hope that with the detail of the actions contained in the Needs Plan, more partners and members of the Partnership and other Cooperation partners may also indicate areas in which they can provide support”. 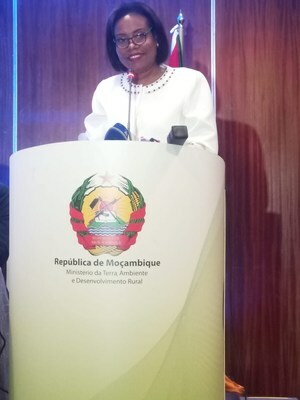 The Vice-Minister emphasized that “with these planning instruments, the conditions are created for Mozambique to fully implement its Nationally Determined Contribution, while achieving national priorities for a resilient, sustained and low-emission development; as well as the international commitments under the Paris Agreement and the Sustainable Development Goals”. The NDC Partnership is a global coalition of countries and institutions committed to transformational climate action, co-chaired by the Federal Republic of Germany and the Kingdom of Morocco. The Partnership has grown to 100 member countries, 19 institutional members and nine associate members since its launch in November 2016. Mozambique was one of the first countries in Africa to join the NDC Partnership and formalized its request for technical assistance in August 2018. The NDC Partnership is supporting more than 30 developing countries to enhance and implement their NDCs through technical assistance; capacity building; knowledge sharing and access to finance. Members give specific support to one another to strengthen policy frameworks; mainstream climate actions into national, sectoral and sub-national plans; develop budgeting and investment plans; share knowledge and resources and build more robust monitoring and reporting systems in line with country-driven requests.